The past 100 days have challenged Muslims in America in an unprecedented way. The current administration’s policies and statements have left each of us with a sense of shock and disappointment. But while Islamophobic rhetoric and actions have been amplified by this administration, they are not new. Over the last 20 years, we have been advocating for the Greater Los Angeles Area Muslim community. CAIR-LA’s first major endeavor was protesting the release of a 1998 film that featured the rounding up and detention of Muslim and Arab men in the Brooklyn area. Our work continued in a post-9/11 world where the Bush administration increased its targeting of Muslims by enacting a system for registering non-citizens from 24 Muslim-majority countries. With each of these obstacles, we saw an opportunity. And we worked diligently to reshape the Muslim narrative in America by broadly challenging Islamophobia and anti-Muslim bigotry. 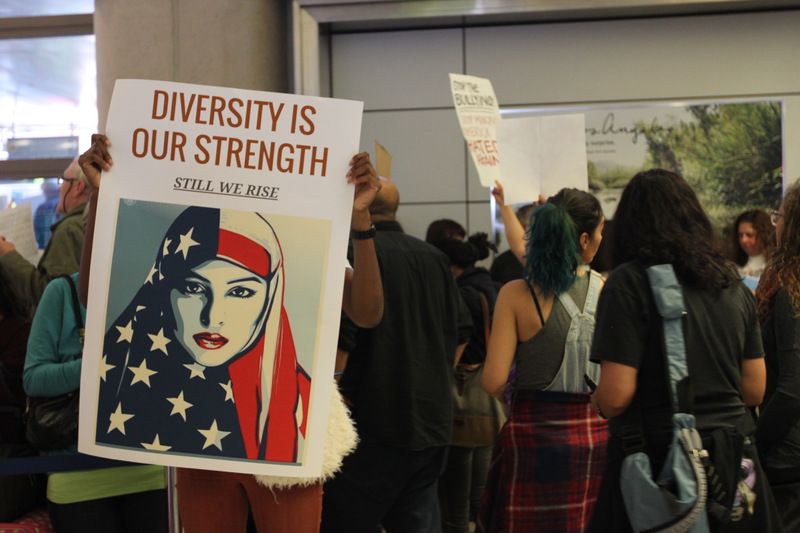 Anti-Muslim, anti-immigrant, and xenophobic policies over the past 100 days have allowed CAIR-LA to reform fragmented efforts throughout the Greater Los Angeles Area and present a united front. While the current administration’s policies and rhetoric have been disheartening, the overwhelming support of diverse Greater Los Angeles Area communities has served to underscore CAIR-LA’s shared mission to protect your civil liberties, enhance the understanding of Islam, encourage dialogue, and build coalitions that promote justice and mutual understanding. 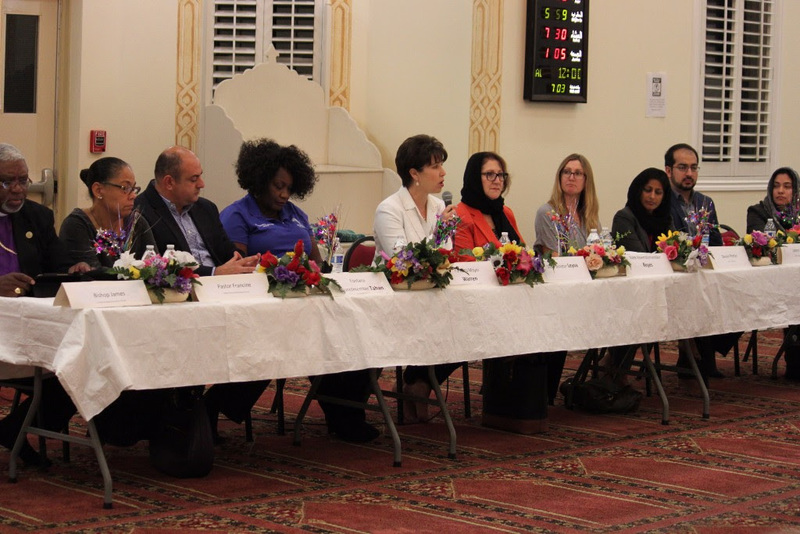 Senator Connie Leyva and Assemblymember Eloise Gómez Reyes speaking at a solidarity town hall organized by CAIR-LA with Advocacy Manager Masih Fouladi, Policy & Advocacy Coordinator Asmaa Ahmed, other local elected officials, interfaith leaders, and civil rights advocates from the ACLU and Asian Americans Advancing Justice. 3 naturalization workshops supporting more than 200 green card holders. Assisted over 500 community members who are seeking immigration assistance, travel advice, representation against intrusive questioning by the FBI, hate crimes, school bullying and religious discrimination in the public and employment context. Empowered community leaders and activists by holding an emergency full-day leadership conference to provide training on media interaction, legal rights, civic engagement, community organizing, nonprofit management and public speaking. Drafted and advocated for state and local laws that protect immigrants from deportation and Muslims from a potential registry, hate crimes and school bullying. These efforts have a significant impact throughout the Greater Los Angeles Area. In the City of Santa Ana, CAIR-LA successfully advocated for a sanctuary city ordinance with a coalition of civil rights and community-based organizations. 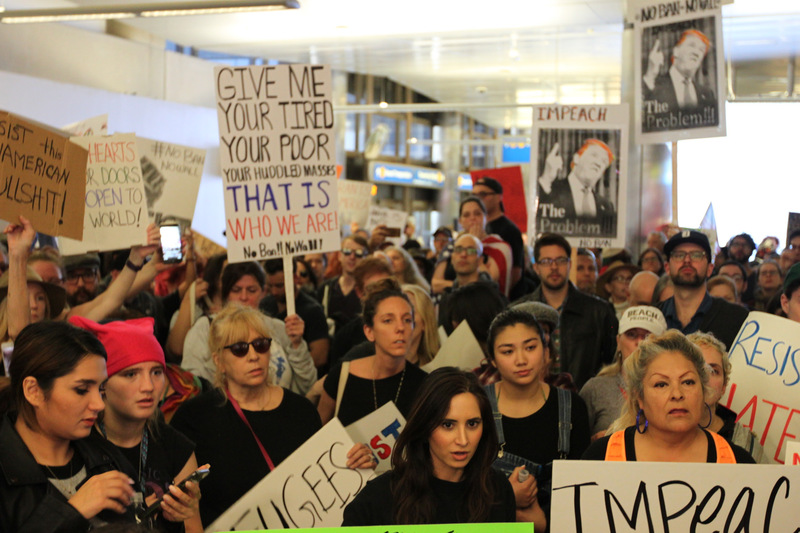 These advocacy efforts led to two Santa Ana city council members’ recognition of the Muslim community’s immigrants’ rights efforts and ultimately led to the passage of an anti-Muslim ban resolution within weeks of the first Muslim ban. As we enter the next 100 days, we will strive to expand on what we have already accomplished. We will pursue civil rights violations in the government and private sectors; we will defend your immigrants’ rights and your right to travel; we will hold law enforcement and prosecutors accountable as we monitor hate crimes incidents; we will advocate for policies to protect your children from school bullying; and we will continue to provide you with opportunities to empower yourself and your family. To accomplish all of this, we will need your continued support. If you are passionate about assisting the Muslim community in the Greater Los Angeles Area in a sustainable way, please make a monthly donation of $100, $50, $25 or $10. Your monthly donations are the best way for us to add staff and resources to sustain our efforts throughout the region. Can’t commit to a monthly donation? Make a one-time donation of $5000, $1000, $500, $100, $50 or any amount that is meaningful to you. We appreciate your efforts in supporting us throughout our fight for justice which is needed now more than ever.